Just like the Tree of Savior, i hope Phantomers Online has opened its closed beta phase in 2015 ago. Welcome gamers to game developed Dream Execution is likewise quite good, and provides more choices for fans of FPS miss with WarRock, a game made by Dream Execution earlier. Inside a way, this Phantomers still carry the hallmark of the class-based FPS WarRock, which in fact with an array of its upgrade. 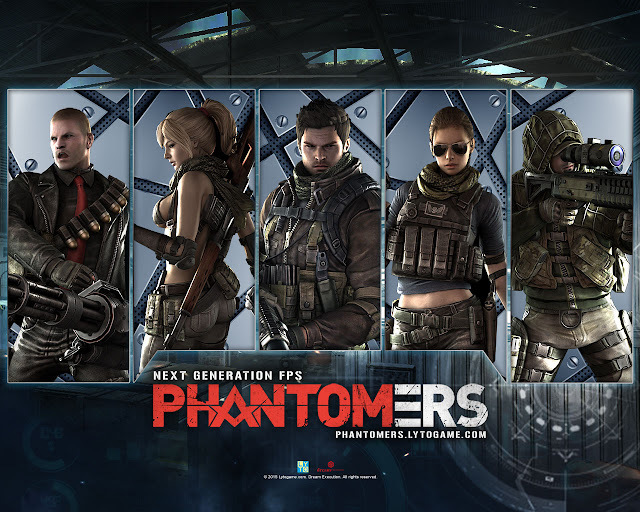 Online Phantomers air-setting in 2020, during which the planet is now facing a worldwide terrorist attacks calling itself Vipers. In an effort to maintain world peace, the United Nations (UN / United Nations ) forming Elite Forces Military PHANTOM to combat global terrorism. It offers five different classes, where each class has got the ability of each and every mutual support when playing in teams, among others Assault (attacker, fighter forefront proficient at using a number of deadly weapons ), Sniper (sniper ), Scout (more tactical class ), Destroyer (an authority in the usage of heavy weapons ) and Engineer (class support, can use a number of sophisticated equipment for example Drone to assist the team ).